If you need a place to stay in San Jose, I highly recommend staying at Jerry’s City Oasis. 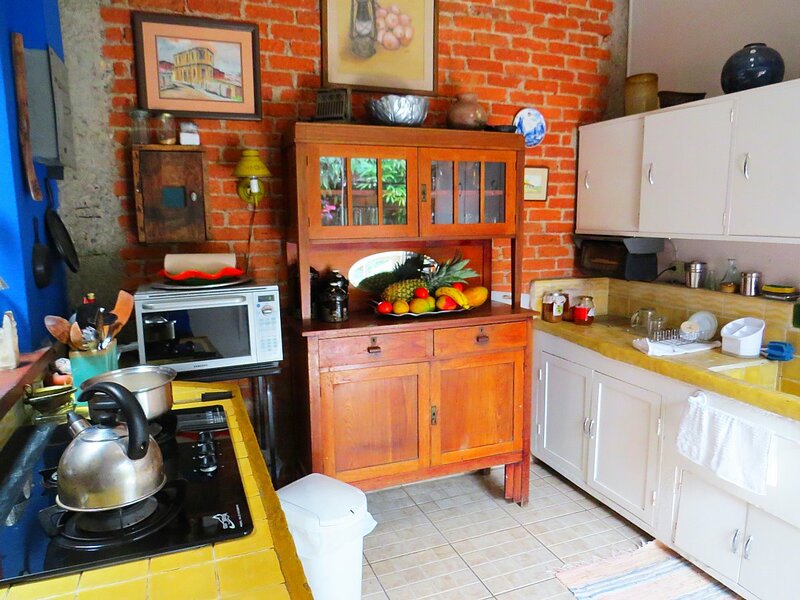 This San Jose Airbnb is set in a 1948 Costa Rican home. 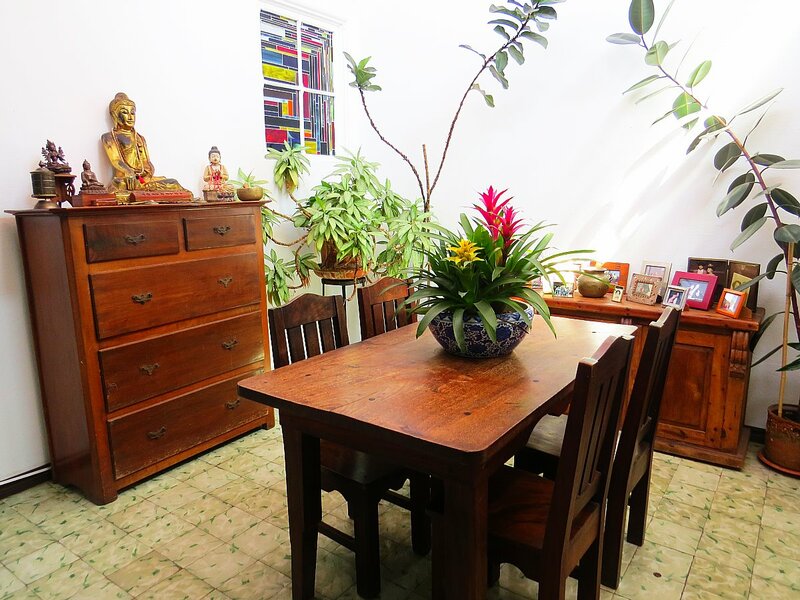 The home is beautifully decorated and felt like a true haven in the busy city. 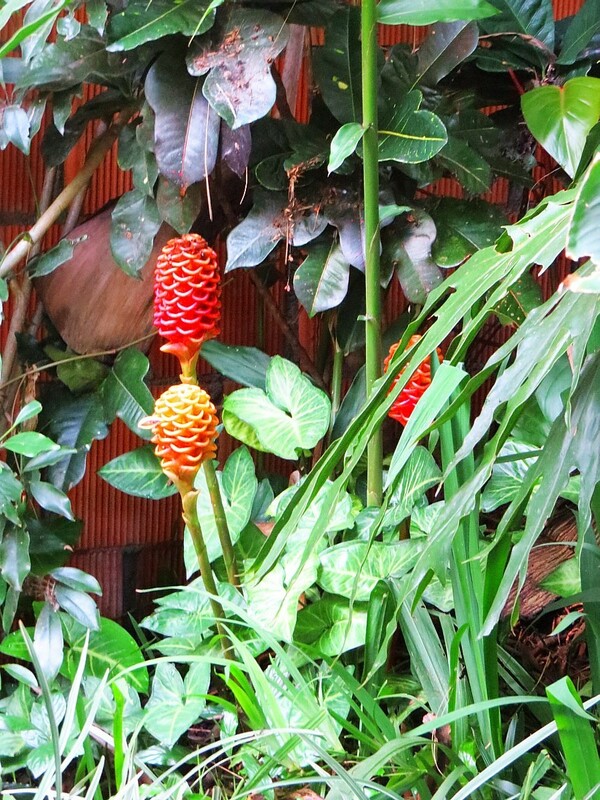 What really makes this San Jose Airbnb stand out is the tranquil garden just perfect for sitting and relaxing in peace. The bed was one of the most comfortable beds I’ve found on any of my travels, and I slept so good. 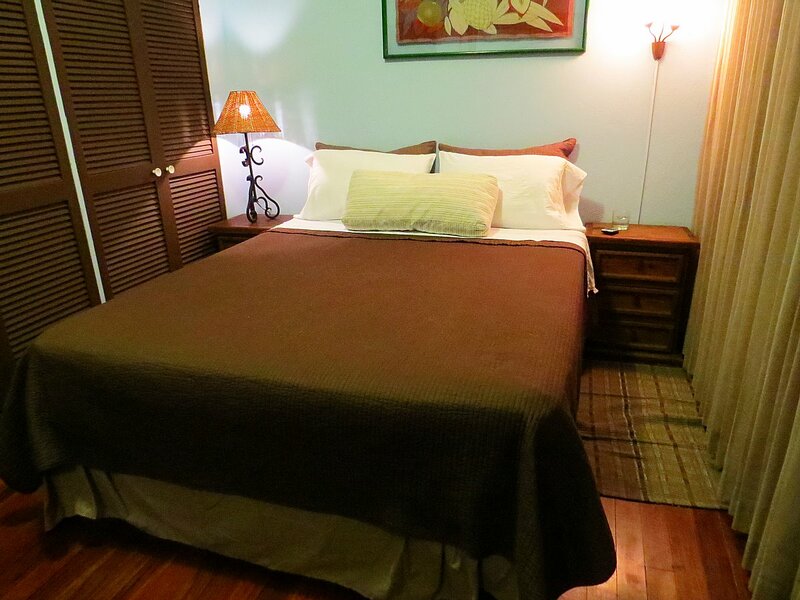 The sheets and blankets on the bed were high quality, which was a nice touch that you usually don’t find at $30/night Airbnb’s. My room was nice designed and also had a desk which I always appreciate having, along with a private bathroom which was spacious and very clean. 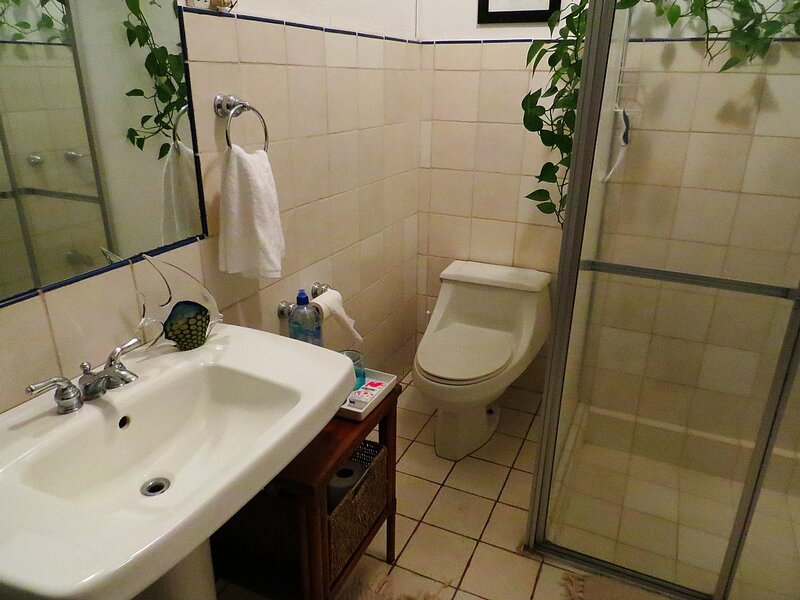 I especially loved having the plants in the bathroom. The vine around the shower was absolutely magical. 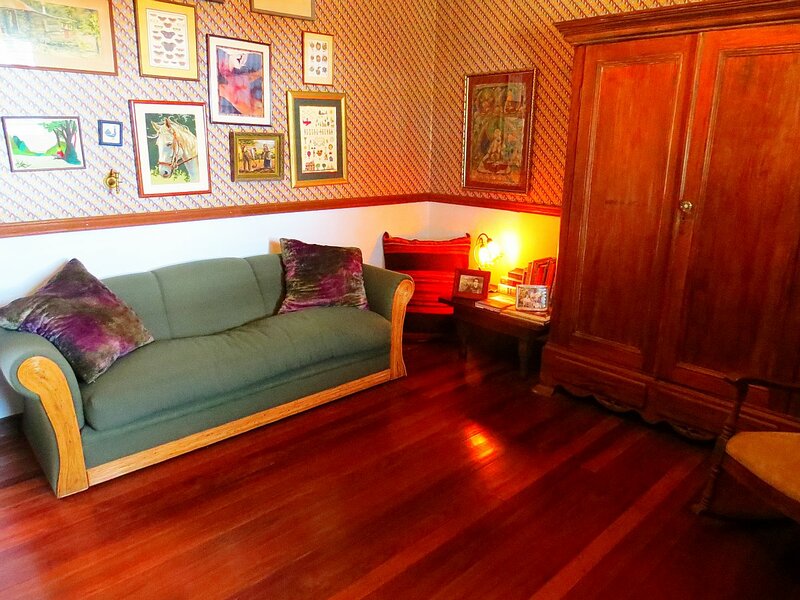 The house also has three living areas which are cozy and which you are welcome to hang out in. There is also a kitchen which you are able to use to prepare food, and there is coffee and tea available for you, too. The star of this San Jose Airbnb is Ramona, the rescue dog. 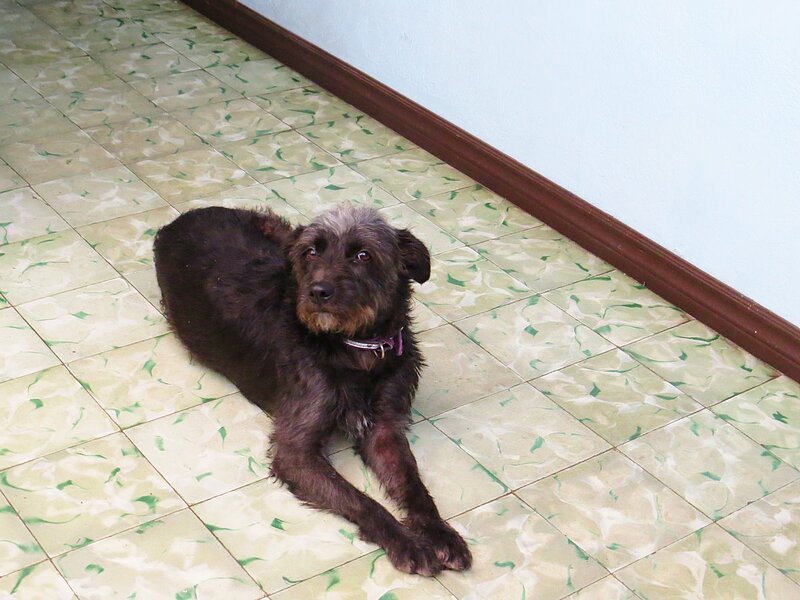 Jerry, the owner, rescued her and she is sweet and loving, and I enjoyed having her around. Jerry was also in incredible person, just a wealth of information, and really great to talk to. He even walked me down the street to one of his favorite restaurants, so that I would be sure to find it. Another wonderful feature is the location. There are around 40 restaurants in this Barrio Escalante neighborhood, serving all different kinds of food. The neighborhood is very trendy and reminds me a lot of the Roma Norte neighborhood in Mexico City. The restaurants all have lively atmospheres, most of them having outdoor seating, and playing music. 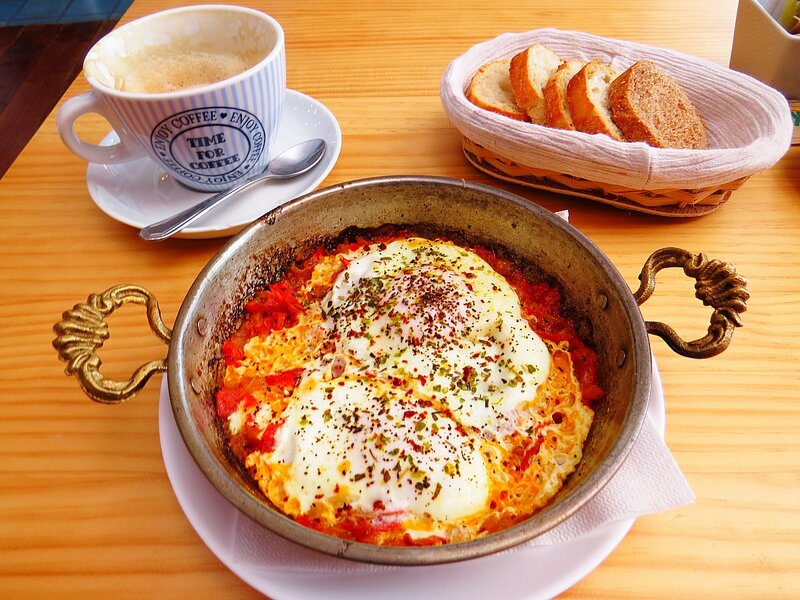 I especially enjoyed the bakery next door Pandeli, where I ate breakfast. 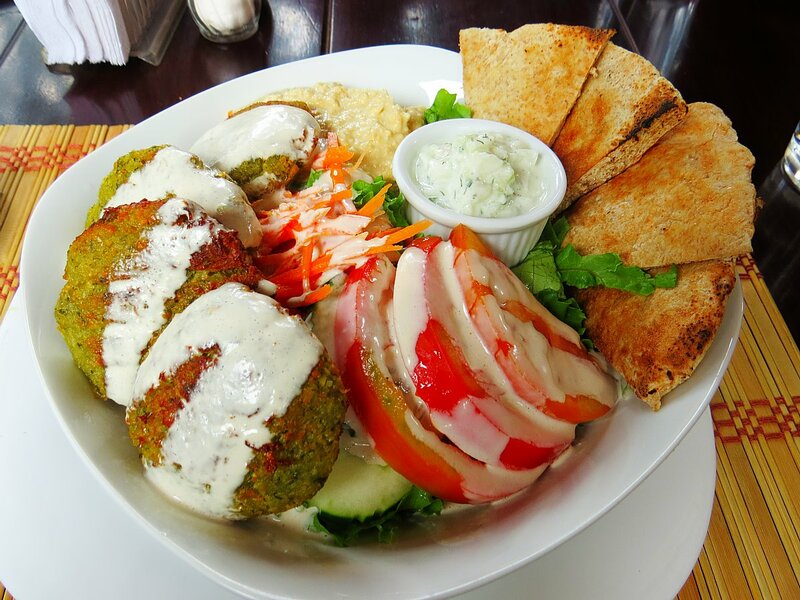 There are also many vegetarian friendly restaurants in the neighborhood such as Mantras where I had a delicious falafel bowl and Ravi where I had a great coconut vegetarian stir fry. So, as you can see, Jerry’s City Oasis has it all. 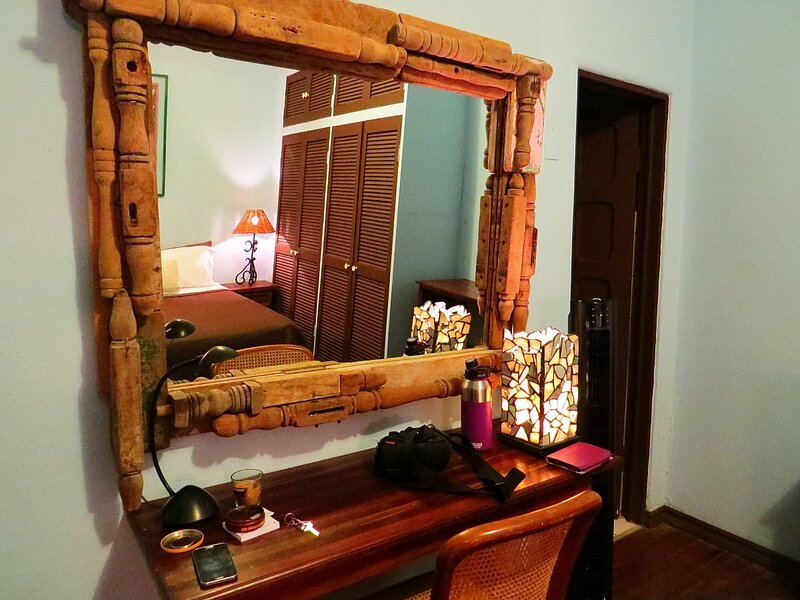 A perfect location, beautiful accommodations, and a friendly owner. 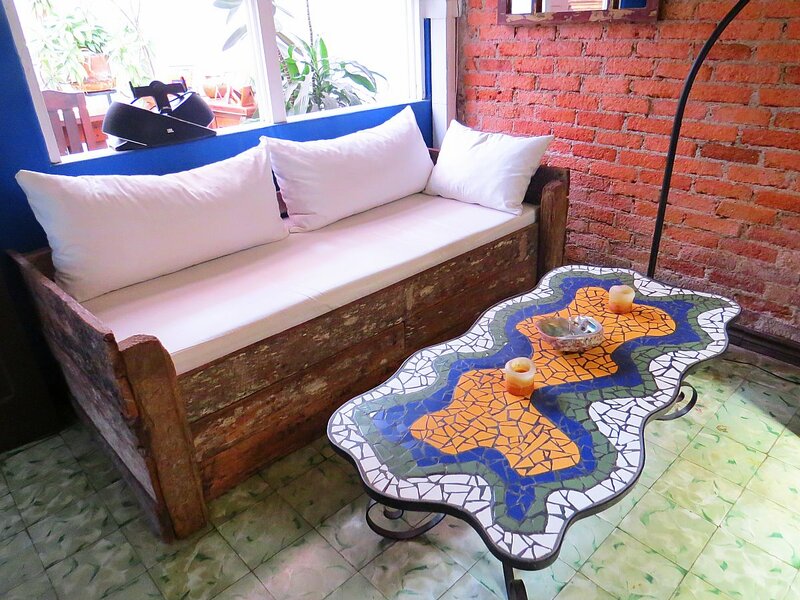 This is the San Jose Airbnb you will want to book on your next visit to Costa Rica. To book Jerry’s City Oasis, click here. ← Are You Already Living Your Biggest Fear?